I had forgotten how much fun reading can be. So why did I stop? I suppose because it's slow. I'm a very impatient person. Why read an entire book (which takes anywhere from a few days to a few weeks for me) when I can read a bunch of blog posts or catch up on Facebook? That's been my philosophy for the last decade for so. For some crazy reason, I made it a priority to read a book a month this year. This seemed "doable." 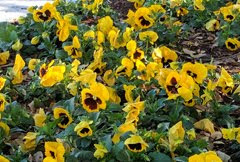 I didn't want to overwhelm myself by setting too lofty a goal. It kind of sounds wimpy now that I see it written out like that. Oh well, I'm not going to judge myself too harshly on this. It's more than I was previously reading. Now that I've set my mind to reading it seems I'm never lacking books to peruse. That's just it - I have the opposite problem. I can't determine which book I want to read next. Instead of only reading an occasional book, now I want to read all..the..time, to the exclusion of sewing, cleaning, coloring, watching TV and just about anything else. 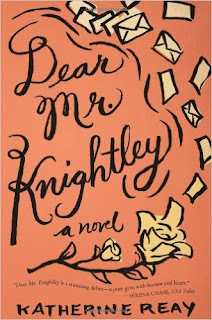 My current obsession is Dear Mr. Knightly by Katherine Reay. It's an engaging book about a young woman named Samantha Moore who suffered greatly as a child and turned to books to cope with her life. She uses the characters in the books she's read to help her process and articulate life, especially relationships. As an adult, she's discovering that she needs to find her own voice. All of this takes place as she sends letters to a generous benefactor in her life. It's clever, funny and touching. I'm totally engrossed in Samantha's life. I want her to succeed in her career, her friendships and in love. In my mind, this is how a good book works. A good book transports you out of your world and into the life of someone else. Since I'm in the middle of the book, I don't yet know how it ends. Dang! I really must get some things done around the house. I think a terrific reward would be to finish reading Dear Mr. Knightly. Suddenly I'm motivated. I think I see a trip to the library in my future.